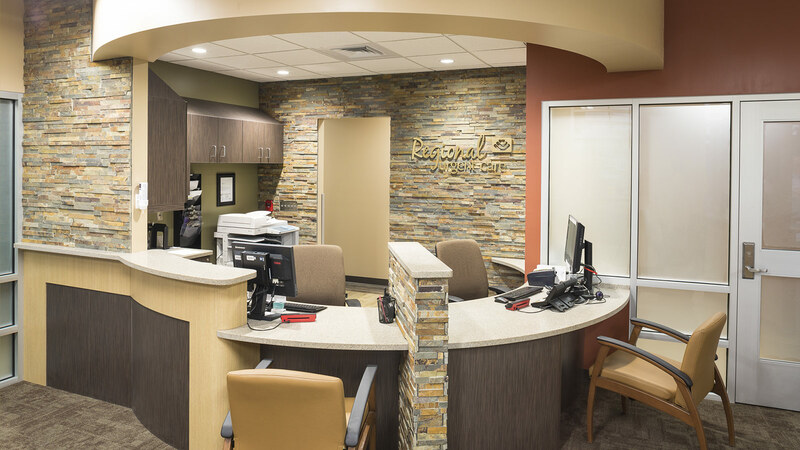 Rapid City Regional Health (RCRH) has expanded its presence in the urgent care market with the recent opening of Regional Urgent Care West, which will serve as the model for two additional urgent care centers to be designed and built in the coming years. 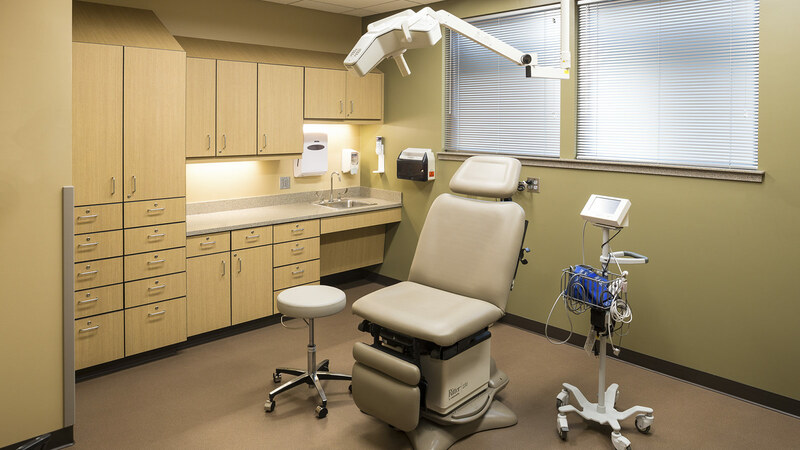 Urgent Care West’s six exam rooms, on-site laboratory and X-ray services offer convenient, immediate medical attention for illness, injury, and occupational medicine. RCRH system leaders wanted to establish a unique, modern, and instantly recognizable facility. The exterior needed to represent and establish an updated brand image for Rapid City Regional Health. 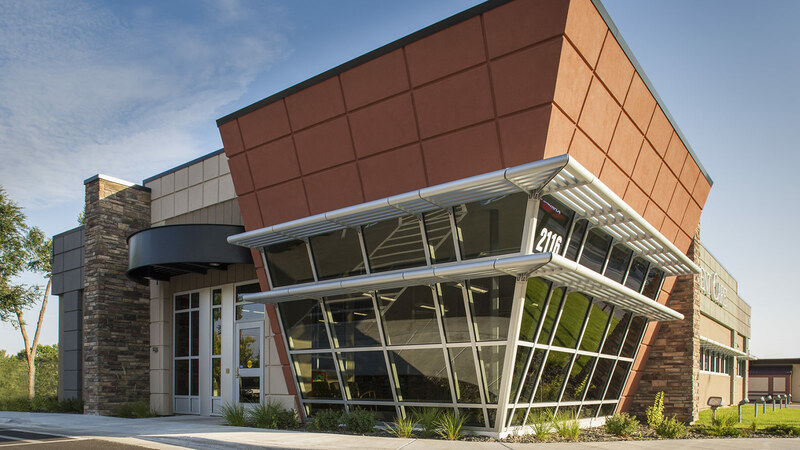 The design accomplished all three through a highly visible, angled glass entrance and a distinctive color palate. Within the building, individual elements work together to provide brand solidity: a slate wall and metal signage are the hallmark of all RCRH locations. The result is a cutting-edge design that reassures patients they are being treated in a top-of-the-line center that features all the latest technology. 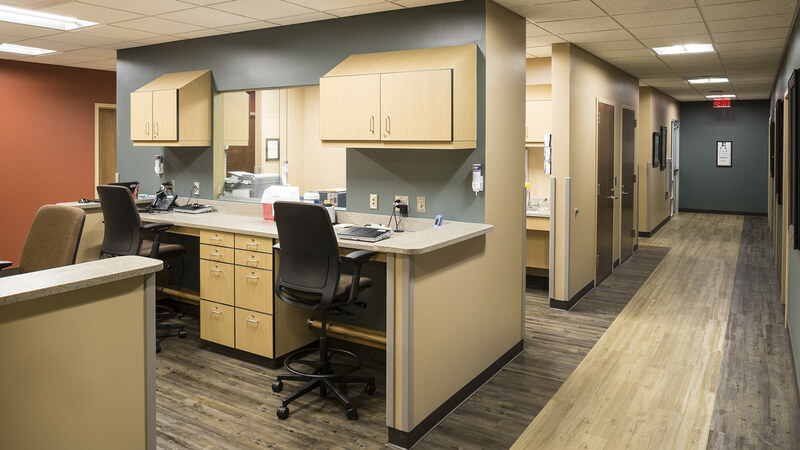 A key driver in the interior design was establishing a clear separation of the urgent care and occupational medicine services. 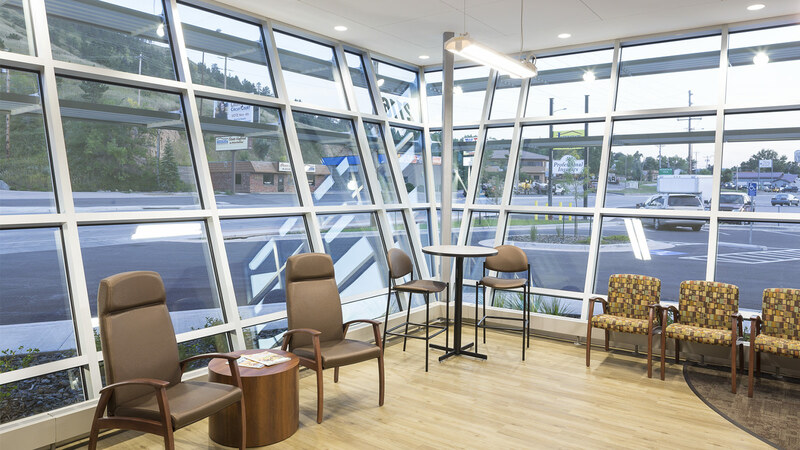 A nourishment station and a glass wall framed by aluminum tubing create this division while still allowing staff an unobstructed view of waiting areas. 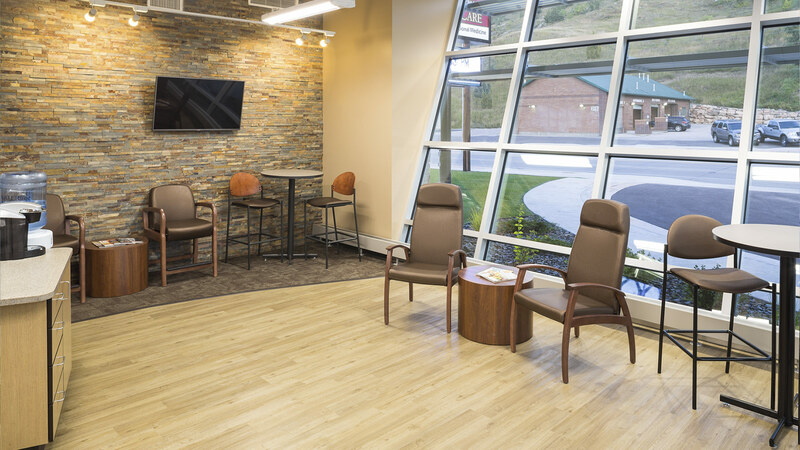 “This new location was designed and built to optimize patient flow, efficiency and satisfaction for our urgent care and occupational medicine clients,” said John Pierce, Chief Executive Officer of Regional Health Physicians. 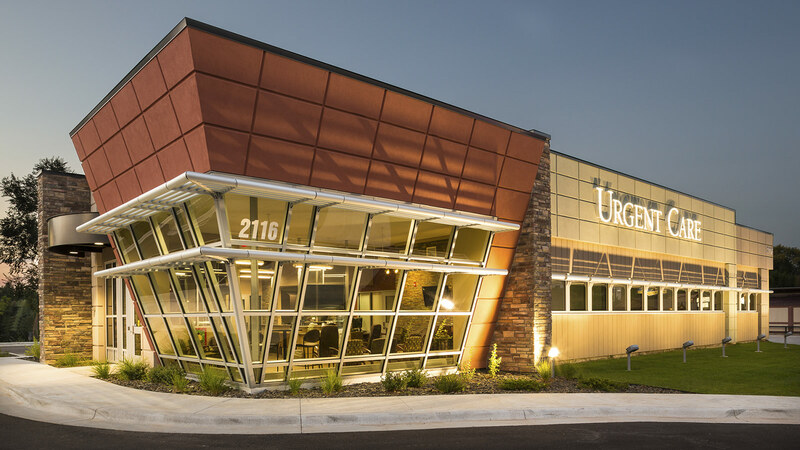 With Urgent Care West, RCRH leveraged a small footprint to develop a highly functioning, patient-centered facility that meets Rapid City’s growing acute care need.